Thank you to everyone from our churches for the tremendous amount of hard work that went in to making Judith Blowey’s Ordination and First Eucharist such moving and very special occasions. With our 700th Anniversary celebrations in Tavistock, September was a very busy month for many people and I thank each and everyone for making these unique and special occasions so memorable. Thank you one and all. My thanks also to everyone from our churches for our Harvest celebrations. It has been good to see so many come together for our services, Harvest meals, the auction of produce, and times of fun and fellowship, all focused on our thanksgiving for Harvest. 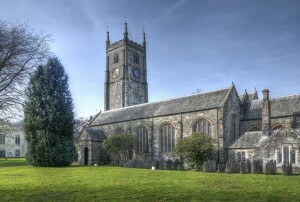 On the 28th October two services will be held in Tavistock for Bible Sunday, 9.45 am and 6.00 pm. In the evening we will be joined by the Companions of the Melanesian Brotherhood and also members of Tavistock Area Christians Together. Please support these services if you are able to do so. Although I am writing for the October magazine, I would like to use this opportunity to give advance notice of two services which are only a matter of a few weeks away, and which come at the very beginning of November. I am writing about these services now, so that there is time to let everyone know about them. “All Souls Day” acknowledges human sadness and grief at the loss of our loved ones, and proclaims the message: “Death is not the end”. Just as the saints in heaven were the saints on earth, and death was the door from our earth to their heaven, so it shall be for us.” This is the Christian hope and it is founded in the resurrection of Jesus from the dead. On the 2nd November, I am planning two services as a Special Act of Remembrance in Tavistock for all those who have been recently bereaved or who would like to remember a loved one from years past. These services to commemorate the faithful departed will be held at Tavistock Parish Church at 12.30 pm and 7.30 pm. During each service we will remember those who have died by name and candles will be lit as a symbol of hope. The services will be simple and, in the evening, will include well-known hymns. At Christ Church Brentor, a service of reflection and readings will be held at 7.00 pm and, again, names will be remembered and candles lit. I hope that many individuals and families will be able to come to these acts of remembrance and thanksgiving.